All of the visitors at this exhibation are horse breeders, horse breeders, veterinarians, veterinary clnics,research institutions,etc. Our DIGITAL veterinary ultrasound scanners or equine ultrasound, cattle ultrasound, Easiscan,etc (Item NO. 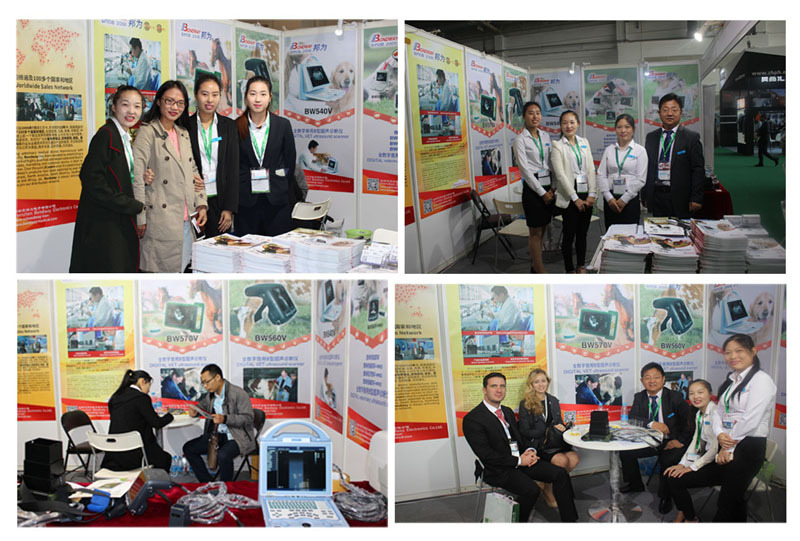 : BW540V, BW570V,BW560V,BW580V-pro) has attracted the eyes of visitors and potential dealers. In addition, they also deeply impressed by the extensive software package and excellent images on the machines (Item No.BW540V). BW580V-PRO, a smaller-sized, battery-operated veterinary ultrasound is expected to be a hot product among pet owners and pet breeders. We're confident that we will have a rapid growth in this potential market, and estalish a solid and long-term cooperation with dealers or agents in the near future.